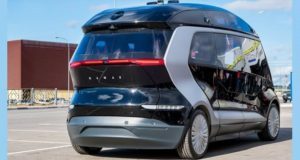 The event gathered over a hundred basalt professionals, representatives of allied industries, scientists, government officials, and financial experts. 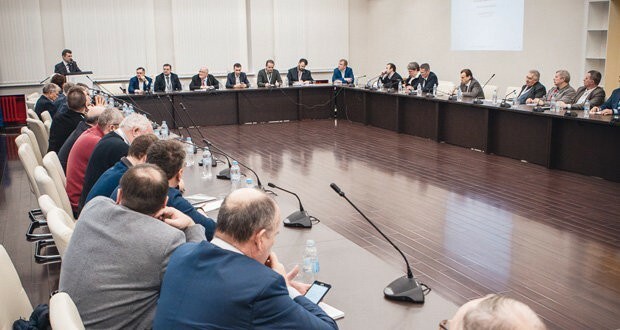 During the 17-18th of November Moscow Polytechnic University (former MAMI) hosted the event where the experts discussed the current situation in manufacture of basalt fiber and basalt composites. They determined the key challenges basalt industry faces, shared the thoughts and jointly considered the ways to handle the issues. The event initiators are the Union of Basalt Industry Development, and Moscow Polytechnic University. GC Basalt Projects was the general sponsor. The participants included the representatives of Russia, Ukraine, Belarus, China, and Venezuela. 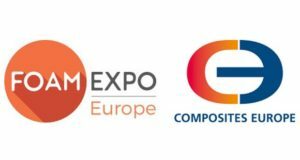 The Forum program has been developed to cover to the maximum extent all the aspects, starting from the personnel policy and standardization, and finishing with finance and markets. 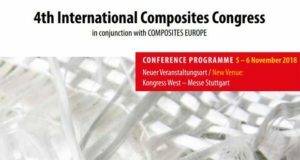 An important condition for the constructive work, as the organizers rightly considered, is the possibility of direct and living dialogue between representatives of different areas of science, industry and government. Nikolay Ablesimov, Corresponding Member of the Russian Academy of Natural Sciences. 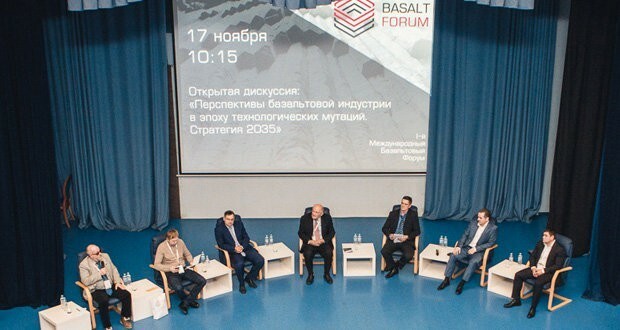 All the participants managed to take part in the debates in a “live microphone” mode, so the discussion took 3 hours, during which the participants spoke on the urgent issues of basalt industry: the interaction between research and production units, factors for economic attractiveness of basalt projects, significance and role of basalt industry in the context of composite materials production etc. Finally, it was proposed to combine efforts to help the industry growth on the platform of the Union of Basalt Industry Development and to create a working group with a purpose to make a roadmap of the industry growth up to 2035. The thematic sessions addressed the issues in narrow channels of specialization. The section “Mineral and technological mapping of raw materials as an import substitution strategy for basalt fiber manufacture” revealed all the nuances of a proper selection of raw materials for basalt fiber manufacture. 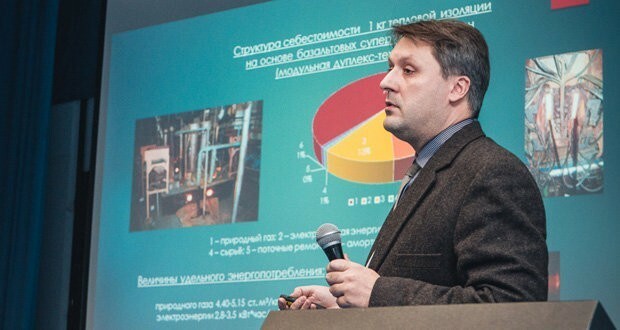 Based on experimental studies, Aleksey Udivanov, General Director of OOO “Russian Basalt” proved wrong the common assumption that all the basaltic rocks are suitable for the production of continuous basalt fiber. It was defined the problem of finding domestic deposits of basalt, suitable for the production of high-quality CBF. 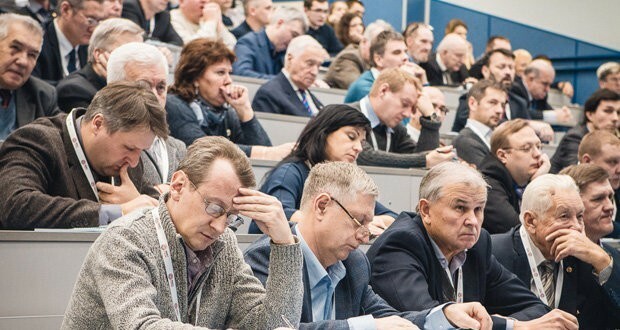 Dmitry Grischuk, a geological engineer of OA Basalt Projects offered to consider a method, which sparked an interest among the audience, on the chemical and petrological evaluation of basalt raw material concerning its suitability for CBF production. Within the section “Adaptive regional platforms for facilitating production of basalt fiber and basalt fiber based products”, the Director of Special Economic Zone “Moglino” Olga Torbich characterized her venue, as one of the most attractive due to well-developed infrastructure and well-organized process to register resident enterprises. 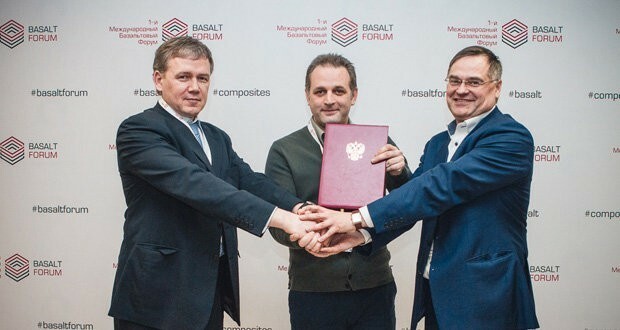 Networking during the Forum event sites led to signing the Agreement on the establishing the marine scientific and technological cluster among GC Basalt Projects, UK Bazalt.Kapital and AO Marine Innovation Engineering Center Arktika. In general, Ist International Basalt Forum passed in working, but at the same time friendly atmosphere. The organizers intend to make the event regular and hold it annually. 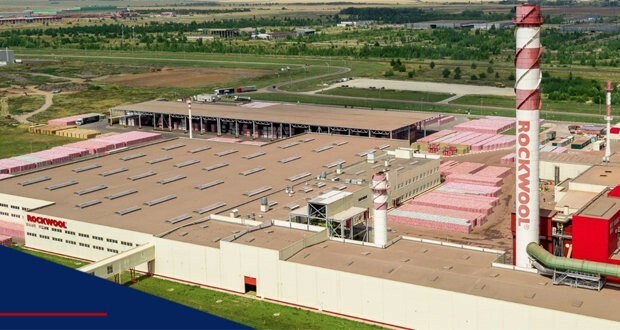 Teplant sandwich panels that contain basalt fiber based insulation are applied to construct this factory.